When I see public art, I’m struck by how much bigger it is than me, and that’s true of art itself. It’s bigger than all of us. 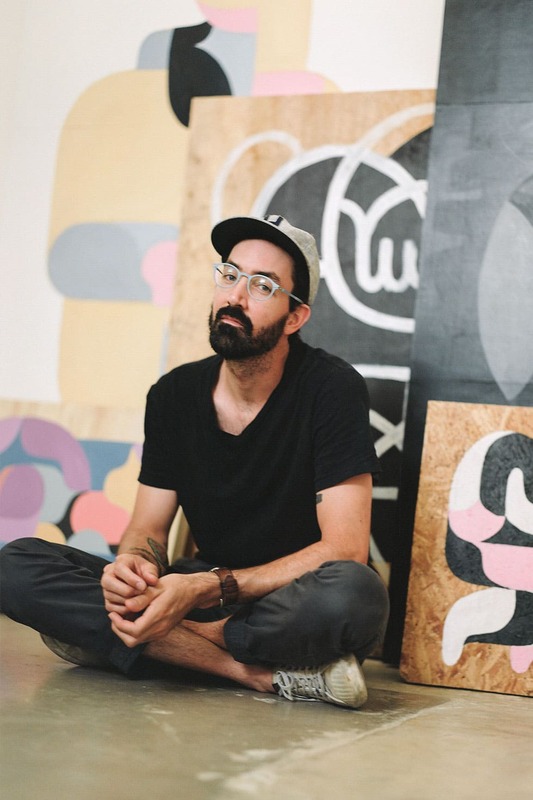 Known primarily as a Public Artist, Kyle is an illustrator, designer, painter, husband, and father who with raw honesty and a patchwork of self-awareness he challenges himself to interconnect these roles. Though committed to his public work for big names like Mt. Dew and HP, his personal work mirrors not just a facet of his interest and expertise, but embodies the balance of their totality. His story is built around an examination of belonging, and the discipline of an intimate practice. The evolution of his expressive work began as an unconscious therapy, a journal of contour and color that twist and interlock. 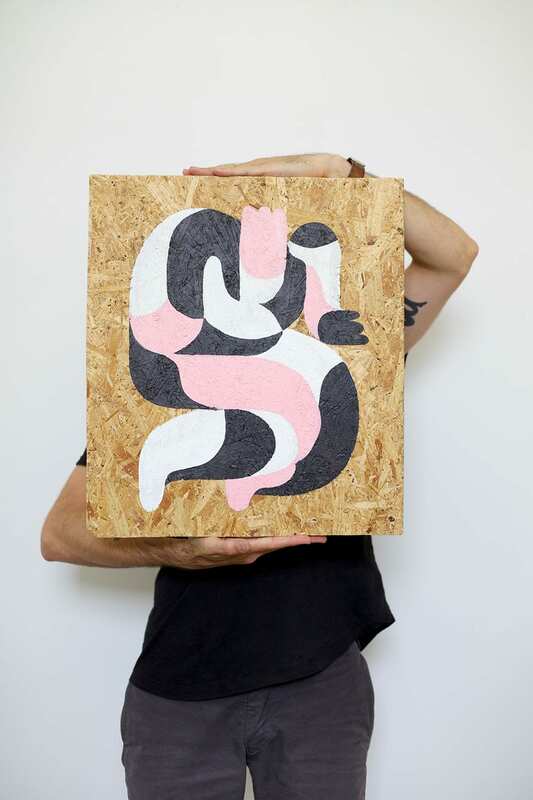 It’s a sort of anthropology of his path into art, beginning as a young directionless twenty-something, to a stint in the Air Force, to his beginnings as a freelance designer. Art and its practice has become a refuge, a canvas on which to grapple with his deepest insecurities and questions about himself.